We have been talking about a dry period now for the last couple of weeks. That is what we are in and it will continue for at least two weeks unless something changes that cannot be foreseen at this time by the weather models. 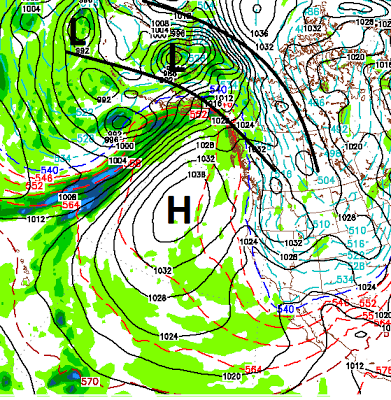 You may remember the beginning of last winter; A powerful ridge of high pressure set up right off the west coast of the US. Well, that is exactly what we have and what we will have into the foreseeable future. Here is a look at the conditions. 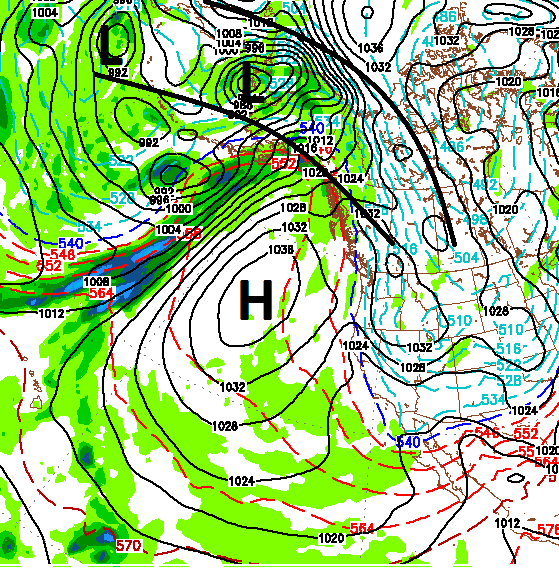 Notice the giant ridge of High pressure off the coast. That will block any storms from coming into our area. At the same time, our weather is straight out of the north. This pattern will continue until that ridge actually moves. As air revolves clockwise around the ridge, we will continue to get pummeled with cooler than normal temps and deep valley inversions as winds will also be very light. Things will warm up slightly toward the middle of next week. Then the following week we are seeing indications of the ridge breaking down. That could do two things; it can open the storm door again and bring in some necessary winds to mix out the stagnant valley air. As I have talked about for the last couple of weeks, we are talking late January before things start to change. I hate to be the messenger of bad news, but it is what it is. Of course the good news is that conditions on the mountain are excellent. My daughter and I went up both mornings this weekend and found the off trail conditions to be very good yesterday. Today, the on trail conditions were fast and soft. For daily updates, see my friends at Unofficial Mt. Rose. Rest assured I will keep an eye out for changes and pinpoint when they will come ... and they will come. My next post will have much better news, I promise!